Bloodsport Championship's "Time To Bleed" takes place at the Marriott and though the event flew a little under the radar here with us, the talent at the weigh ins, from guys out of Jackson's MMA to the UFC's George Sotiropolous' boxing coach, gave us a taste for what tomorrow night holds and it's looking like it's going to be a night filled with not only talented Pro MMA fighters but boxing talent as well (the Main Event for the boxing portion is for a legitimate world belt and a big deal in women's boxing). For the Main Event of the MMA portion of the evening, it's Jorge Ortiz takes on Willie Parks. Parks comes out of Jackson's MMA and with a record of 3-0, he means business. He was very respectful of his opponents and made no promises other than that he would get the win. 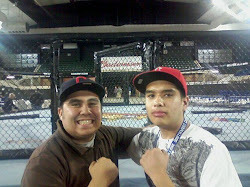 Jorge Ortiz was not at the weigh-ins to get his opinion on the fight. Also on the Bloodsport Championships MMA card, Ace MMA fight team's James Gabriel takes on Conrad Padilla, who fights out of Jackson's MMA as well as Keith Jardine's Mean1MMA, both very respectable gyms. Gabriel himself was kind of humble, just saying he's ready to fight no matter where the fight takes place, but his management insists that with the training partners he has, he's more than prepared for anything Padilla has. Padilla makes his professional debut but had a good run as an amateur and, with Jackson's behind him, is ready to have just as good of a run as a Pro. In an interesting fight where the fighters have already met before, Matt Leyva takes on Joe Gustina in hopes of avenging his only loss. Leyva, another one of the Jackson's fighters, is 7-1 with his only loss coming at the hands of Gustina and feels that with the run he's on right now, it's time to avenge his only loss and continue his climb up the Pro MMA ranks. Gustina had to cut a lot of weight and rushed out after the weigh-ins to get some food and some liquids in him so we were unable to get his take on the fight. WIBF and GBU Jr. Welterweight World Championship titles and Gabriel Cruz, sparring partner to UFC Lightweight top contender George Sotiropolous, takes on Wesley Marquez. 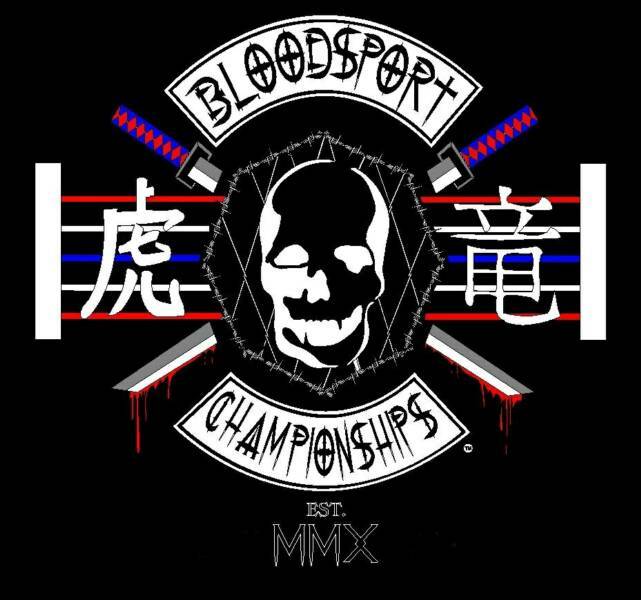 We hope tomorrow night is a success for Bloodsport Championships so they can put on some more shows like this. They brought in superb talent for the event and hopefully El Paso can be host to MMA competition of this caliber more often. Bloodsport Championship's "Time To Bleed" takes place at El Paso Marriott at 7 pm. 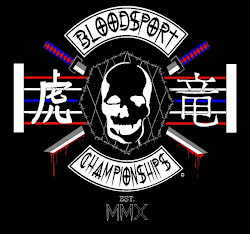 For more information on tickets or the event itself, visit http://www.bloodsportchampionships.com/.